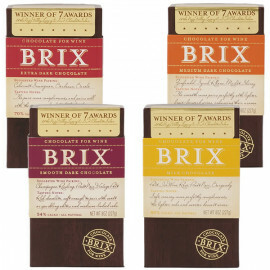 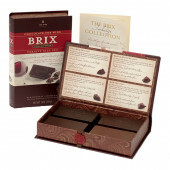 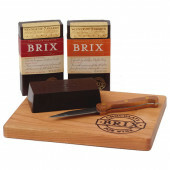 Brix Extra Dark, Medium Dark, Smooth Dark, and Milk chocolate is specifically blended to complement wine. 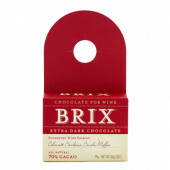 Brix Extra Dark Chocolate (70% cocoa) is specifically formulated to pair with the deepest red wines. 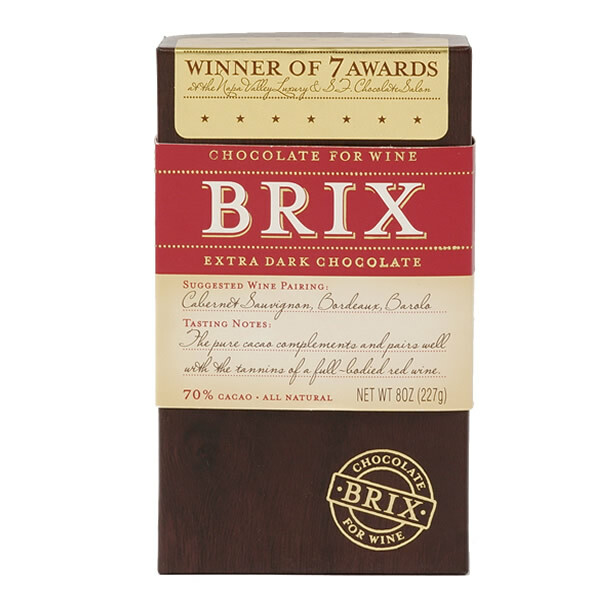 Having a very high cacao content, this Brix blend can stand up to the massive tannins found in these wines. 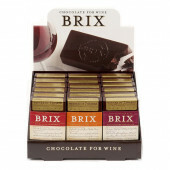 The label suggests Barolo, Cabernet Sauvignon and Bordeaux, Extra Dark also goes well with the younger, heavier Zinfandels and Shiraz. 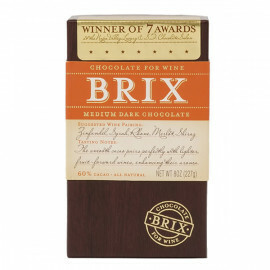 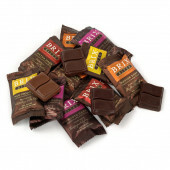 Brix Medium Dark Chocolate (60% cocoa) is the most versatile of the Brix blends. 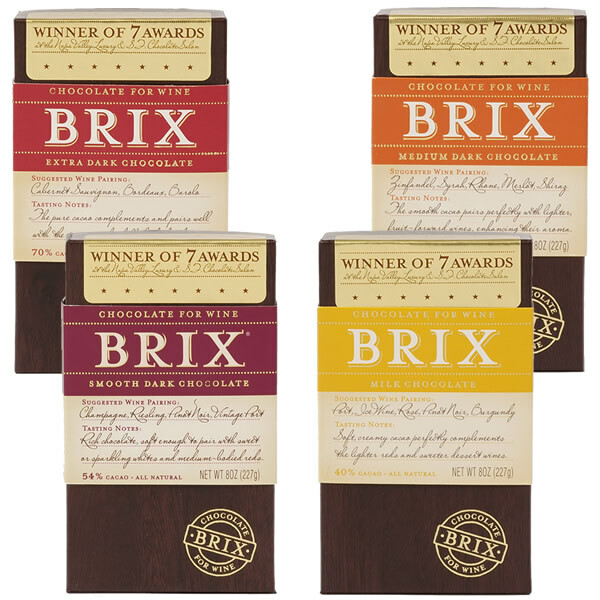 While its cacao content is high, it remains sedate enough to enhance the fruit forward wines it was designed to accompany. 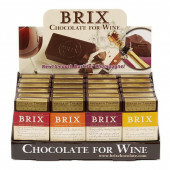 Pair with medium bodied reds such as Merlot, Shiraz, Sangiovese, Tempranillo and Zinfandel. 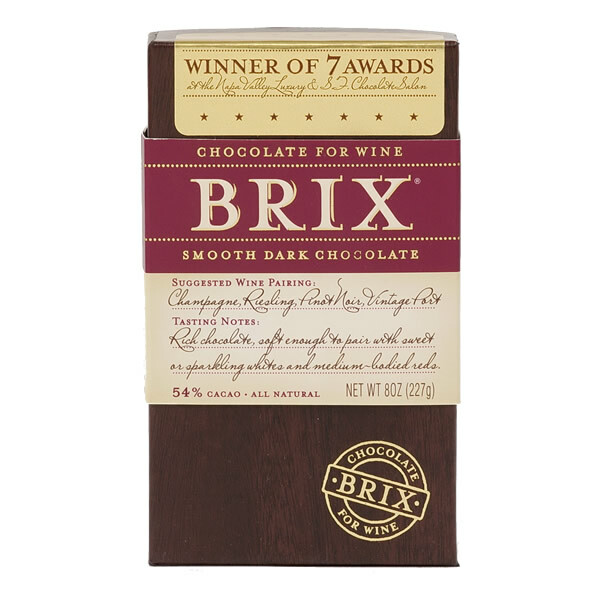 Brix Smooth Dark Chocolate (54% cocoa) is the newest varietal in the Brix range. 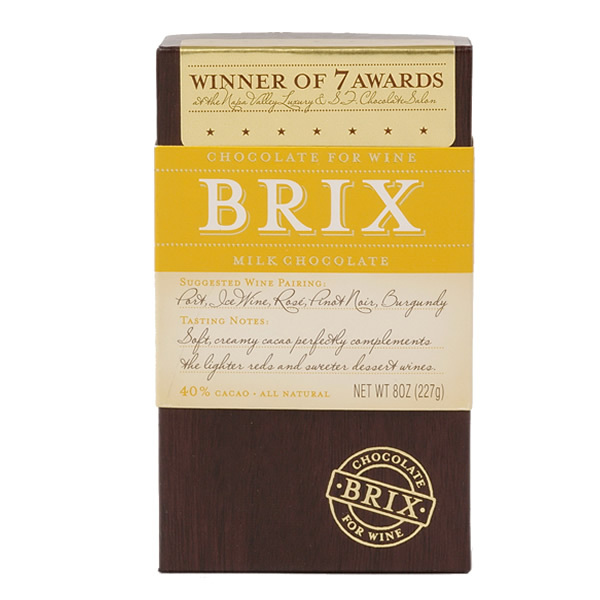 A 54% cacao blend, Smooth Dark is soft enough to pair with sparkling or slightly sweet white, medium bodied reds or dessert wines. 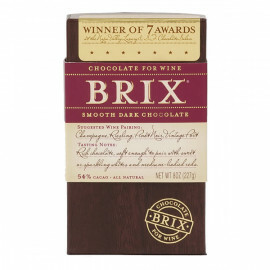 *Brix Milk Chocolate (46% cocoa) is a chocolate designed for the lighter reds such as Pinot Noir and dessert wines. The addition of high quality milk chocolate to the single origin Ghanaian product results in a milk chocolate like no other, both creamy and spicy. *Milk Chocolate is currently out of stock.